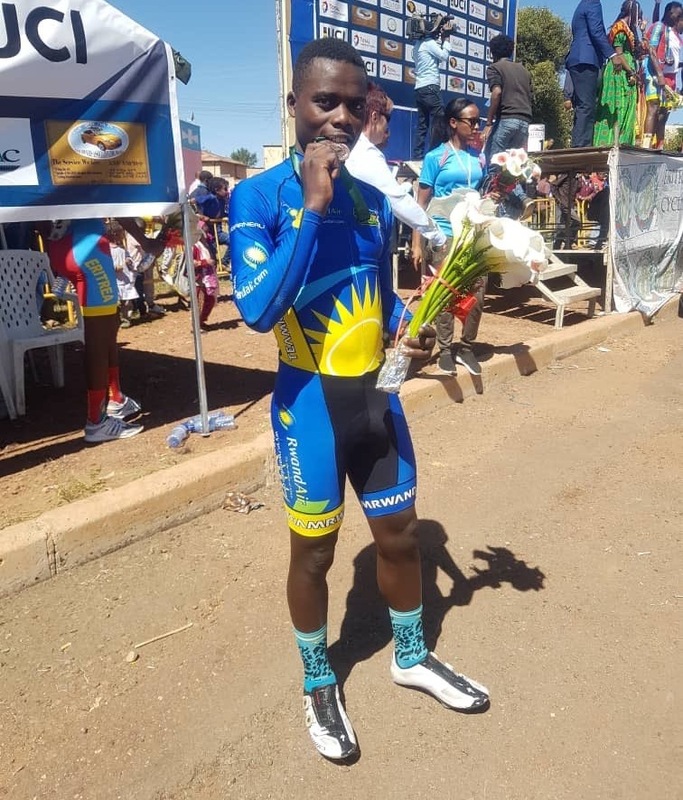 Team Rwanda Rider Mugisha Moise won a bronze medal in the Individual Time Trial’s Under-23 category held on the second day of the inaugural Africa Cup in Asmara, Eritrea. Mugisha clocked 46:46’39 to finish behind Eritrea pair of winner Habtemichael Daniel and Mulubrhan Henok respectively. Mugisha’s bronze victory comes a day after he helped Team Rwanda win a silver medal in the Team Time Trial’s Under-23 category held on Tuesday in Asmara. Rwanda came second behind hosts and winners Eritrea while Team Ethiopia settled for a Bronze medal. Team Rwanda is comprised of Tour du Rwanda reigning champion Mugisha Samuel who features for Dimension Data for Qhubeka, National cycling reigning champion Munyaneza Didier and the pair of Manizabayo Eric and Mugisha Moïse who recently won a stage each of the on-going Rwanda Cycling Cup 2018. The women’s race of the Africa Cycling Cup 2018 will be conducted on Friday, November 23, 2018. The Eritrean Cycling Federation in cooperation with the African Cycling Confederation is hosting African Cup Cycling competition that will continue 25 November. Eight African National Teams consist of Benin, Egypt, Eritrea, Ethiopia, Nigeria, Rwanda, Seychelles & South Africa are participating at the first of its kind African Cup Cycling competition.